Load Cells " Weight" and Force Sensor "FSR"
For Openbuilds V-Slot rail, DIY CNC or other systems.Strong Solid V Wheel Kit include :1 Derlin Wheel,2 Bearings(625 2RS),2 PreciseShim,1/4" or 6mm Al.. Description: MK3 can choose 12v and 24v two voltage, more practical; MK3 is aluminum plate process, due to the aluminum substrate material is..
608ZZ Bearings - The most common bearing used for bits like extruders, idlers, etc. A nice quality bearing with metal covers to keep dirt.. Features: Working voltage: 12V Size : 20x20x10mm Power: 30W NTC thermistor included Size: 0.4mm Apply to the PLA and ABS /1.75 Note:.. These jumpers are made of supple, stranded wire with ten vivid colors - so you can maintain visual order on a breadboard project that might otherwise .. Product Description The OpenBuilds Solid V Wheel is a strong wheel that resist deflection due to its solid nature. This wheel style was produc.. The Mini V Wheel Kit is used in conjuntion with Mini V Plate to create a small form factor linear actuator guide! 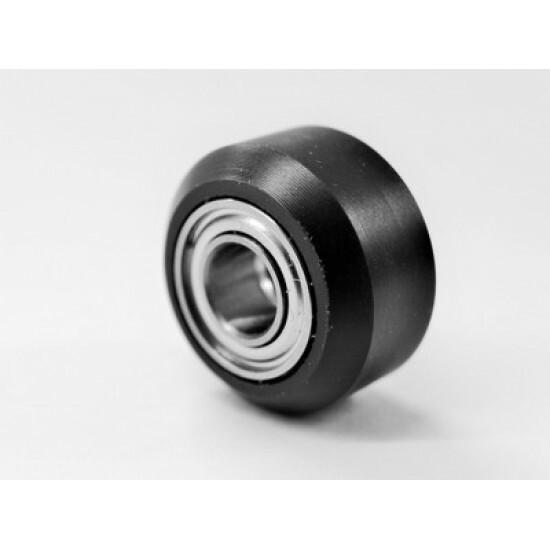 These Mini V Wheels can be used on a variety of projects and are great for use with any V-Slot Extrusion. Each wheel is carefully milled for consistent high precision and tolerance. 26-Elmenoufi St. Beside Shubra Faculty of Engineering - Cairo - Egypt.